Watching a beloved parent begin to struggle with the early stages of Alzheimer’s disease can be extremely difficult. Most people experience a wide range of emotions, from sadness to frustration to fear. Still, knowing what to expect and how to support your loved one can help you navigate the stresses and difficulties of Alzheimer’s disease with compassion and sensitivity. What Should You Expect During the Early Stages of Alzheimer’s? Alzheimer’s causes irreversible changes in the brain which progress slowly over time. In the early stages, your mom or dad may still be able to drive, live alone, enjoy social outings, and even continue working. However, you may gradually begin to notice difficulties with remembering names, words, or recent conversations. As the disease progresses, these symptoms will become more pronounced, and may eventually cause problems with performing tasks, managing a schedule, or finding things. What are the Symptoms and Challenges of Early Stage Alzheimer’s? These symptoms can make it difficult for your loved one to manage medication, keep appointments, remember how to get where they’re going, or recall people and places they should know. And in turn, this can cause intense frustration both for your parent and for the people they interact with who may not understand what’s happening. It’s often difficult for someone with Alzheimer’s to admit that they need help. Look for tasks that may pose a safety risk such as driving, using machinery, or handling tools. In these cases, find ways to gently offer help. In cases where there is no immediate health or safety risk, encourage your loved one to attempt the task and provide help only when they ask for it. When tasks like budget planning, shopping or balancing the checkbook become overwhelming or cause frustration, find ways to do them together. Ask for their participation and involve them in the process as much as possible. 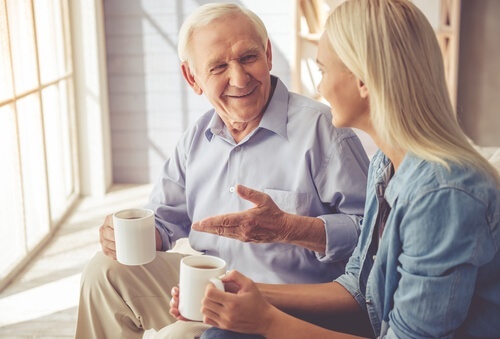 While talking to your mom or dad about their Alzheimer’s may be uncomfortable, it’s one of the best ways to know whether you are providing too much or too little help. Ask them what their frustrations are and make a plan for how you can overcome them together. Does Your Loved One Need Additional Alzheimer’s Care Support? Ask family members to check in regularly. If you or other family members live nearby, have someone check in on a regular basis to see how your loved one is doing. This is also a good opportunity to observe how he or she handles new information, check to see if medications have been taken, or make sure bills have been paid. Consider home care in small intervals. Home care can help your loved one with basic housekeeping, medication reminders, and meal preparation. 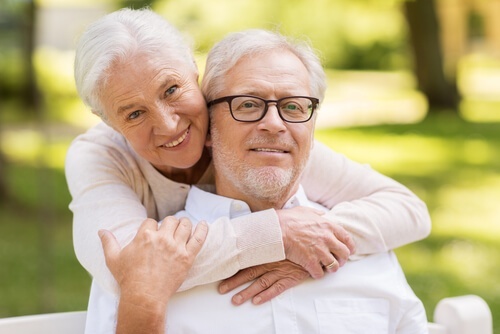 It is important to establish a relationship with an agency so that your loved one gets used to getting help and to be able to quickly add services as the disease progresses. Provide assistance with complicated tasks. Grocery shopping, budget planning, making and keeping appointments, and other multi-step tasks may quickly become overwhelming. Offer to help your mom or dad with these tasks or check in to see whether help is needed. Home care can also help with some needs such as transportation, shopping, and medication reminders. During the early stages of Alzheimer’s disease, it’s important to help your family member maintain as much independence as possible. It’s also important to have help available when they need it. Finding the right balance can be challenging, but knowing your options and taking advantage of the resources available to you can help you face the future with confidence.